Judaism and lure of holy land fosters new relationships despite level of practice. 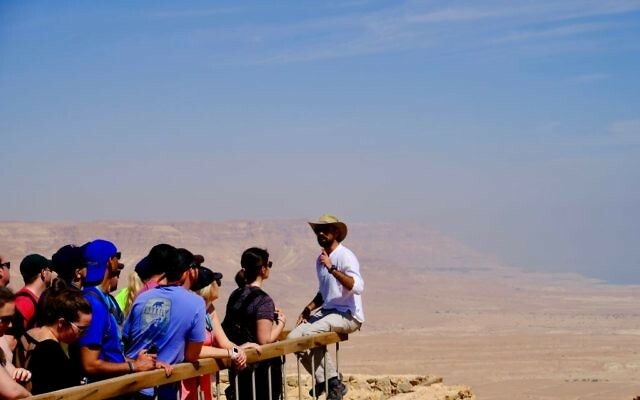 An immersive group trip to Israel creates lasting bonds among Honeymoon Israeli alumni. Through her cousin’s Facebook pictures, Levenson was turned on to Honeymoon Israel, 2-year-old nonprofit organization that sends 20 couples at a time from the same city on subsidized nine-day trips to the country and functions as a community back home through social activities. Honeymoon Israel started with trips from Phoenix and Los Angeles in May 2015 and now sends groups from Atlanta and 13 other cities in the United States. 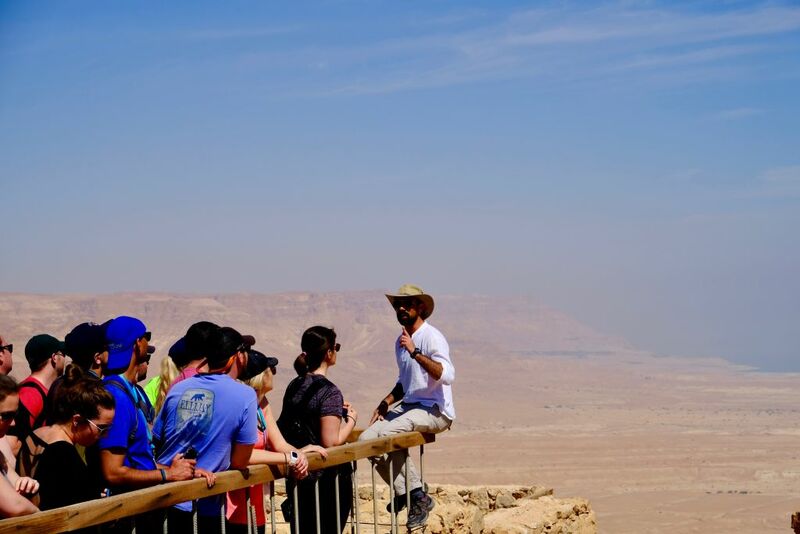 Nearly 1,000 couples have either gone on one of the 34 Honeymoon Israel trips conducted since 2015 or have been accepted on an upcoming trip through next May. Levenson had looked for her Jewish home for a while. After a year as a synagogue member, she remained unsatisfied. “The thought of going to Israel with my husband and other couples in the same life stage sounded like a good opportunity,” she said. Married just 15 months, the couple attended an information session for Honeymoon Israel and met all the requirements: at least one partner identifying as Jewish (both Levenson and White grew up in the Conservative movement); at least one between 25 and 40 at the time of the trip; married or life partners; and married less than five years. Hannah Spinrad, the Atlanta director of community engagement for Honeymoon Israel, said the company encourages couples from diverse backgrounds, including LGBTQ people. “Our community is changing. It doesn’t look the same as it did 20 or 30 years ago. We have different needs. We want people to see how they can opt in to Jewish life,” Spinrad said. That’s exactly what Levenson and White did. With a little seed money from their parents — Honeymoon Israel charges $1,800 per couple —they were on their way. “I went on Birthright as a 27-year-old in 2012,” White said. “At that age, everyone is in different stages. People go different ways. I still keep up with a few people from the trip, but it’s mostly through Facebook. After traveling with 19 other couples, Levenson and White returned to Atlanta feeling renewed in their faith. Post-trip, Levenson and White gather with Honeymoon Israel alums to share meals, celebrate milestones and watch sports. Each Honeymoon Israel group uses an app called Telegram, similar to WhatsApp, to share selfies and birthday wishes. “The fact that HMI has been around a short time and seen such success is an indicator that we’re fulfilling a need,” Spinrad said. Eighty-five percent of couples say they feel a new sense of belonging to the Jewish community and a connection to Israel after the trip. Such effectiveness helped persuade the Jim Joseph Foundation recently to grant the organization $1.5 million over three years to expand to more cities and to do more to help trip alumni build their Jewish community back home. In the end, they are still choosing Judaism.